Minnesota Humanities Commission is a publisher of children's books. 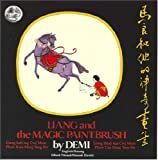 Some of the books published by Minnesota Humanities Commission include Dia's Story Cloth: The Hmong People's Journey of Freedom, translated in White and Green Hmong Dialects: Diav Daim Paj Ntaub Dab Neeg / Dlav Dlaim Paaj Ntaub Lug Nruag, A Chair for my Mother: lb Lub Rooj Rua Kuv Nam/lb Lub Rooj Rau Kuv Niam, Nine-In-One Grr! Grr!, and The Lion's Share Qayb Libaax.